Past updates from the monthly Smashy Claw mailing list. Subscribe now! Long time, no spam. Here’s a few updates to enrich your holiday season with. Christmas just isn’t Christmas without an email from that band you barely remember, ya know? A nice offensive holiday cover for all the kids! Speaking of videos, we just released a new music video for our song “Claustrophobia”. Finally, a Christmas tune for all the crazy conspiracy theorists! GOD BLESS US EVERYONE! Check it out at https://www.youtube.com/watch?v=UaZriXpAGYg. This month’s collection of free audio waves is a stupid Christmas parody we made a few years ago for our criminally neglected podcast. You stay up late for an airing of It’s a Wonderful Life because you don’t know how DVRs work, I guess. You’re horrified by the unflinchingly miserable storyline and turn off your television before witnessing the surely equally bleak conclusion. You run out your front door, screaming in terror. Your neighbors look out their windows in curiosity. One such neighbor yells out in disgust, “Put some clothes on, you crazy idiot!” Oh, did I mention you were naked? Cause you are. Undeterred, you start running in a circle in the snow-covered street, occasionally slipping, falling, and getting back up to continue this insane escapade of yours. It’s just a movie, man. Get some pants and chill out. Sent out to the SC mailing list on May 9, 2015. To receive updates from us, subscribe now. Welcome to another sporadic adventure in the topsy-turvy world of Smashy Claw-related news items! It’s been like a year… sorry about that. Hopefully we can all get over this period of callous negligence and enjoy some good ol’ fashioned shilling. Ready? Okay! Seriously, sorry for the stupidly long absence. We have a show next month in freaking IL! Wow! Jesus, there’s a new FAWM?! We have been gone awhile. A new track from the new FAWM. New! So, it’s been awhile since we sent out one of these. There are tons of reasons (Austin finishing college, Nathan working a lot, the ravenous alien apocalypse that the band heroically everted single-handedly but was swiftly covered up by the government), but no one likes excuses. The main one is that we just haven’t been doing much we can talk about publicly yet. It suffices to say that we’re working on something that we think will be really cool, and you’ll know about it right here, as soon as it’s ready to be announced. Thanks for sticking around, you lovable bunch of weirdos! Holy crap, that’s right! At the end of last year we totally released two new music videos for songs from our (increasingly older) Former Spine album. Both of which were debuted on Albino Blacksheep, as has become a tradition. So please, go check out the nifty stop motion King Kong tribute Jar of Worms (https://www.youtube.com/watch?v=0aPWwuFIBbk) and the animated plight of the faceless My Almost Me (https://www.youtube.com/watch?v=9I6Woukt9x8). In just a little less than a month, the gang will heading up (or… down?) to Chicago for a show at the second annual funny music festival, FuMPfest, a thing put on by the dudes over at the Funny Music Project (FuMP). Us Claw lads will be performing a full hour of our more comedic tunes on Sunday June 7th at 11:00 AM. You can buy passes for the whole weekend at http://www.fumpfest.com, details as always are at http://www.smashyclaw.com/shows. Be there or… I don’t know, engage in less laughter than you would otherwise have that weekend, I guess. Another year, another FAWM (February Album Writing Month). Austin once again managed to complete the ridiculous challenge of writing 14 songs in February this year. You can check out the results of this bloody struggle for forced creativity at http://music.smashyclaw.com/album/fawm-2015. Go ahead and download these demos for free while they’re available! This month’s audio offering is a selection from the aforementioned FAWM 2015 tracks. This one’s a bit of a departure for us, being that it has such a sparse arrangement and contains very few lyrics. We’re pretty excited about it. You insert your meager tokens into the public transportation vehicle’s currency dispensary and enter into the claustrophobic enclosure. There seems to be a mass of onlookers as you journey down the aisle looking for an empty pair of seats to find some sense of privacy within. Alas, you settle for the least offensive stranger to sit next to after passing an ocean of gross troglodytes. The annoyed woman you have chosen reluctantly moves her belongings from your desired area and you lower yourself into the uncomfortable position beside her. An hour vanishes behind you like so many miles of road as the bus makes its journey toward its destination. You’ve had bad allergies all week and reach in your pocket to find you’ve misplaced your tissues. You want to ask the lady if she might have any but are nervous to irritate her any further. After a few minutes of tension, you gently inquire if she might have any spare snot-wiping devises. She doesn’t respond. After a few awkward seconds you ask again. Once more, no answer. Becoming a bit perturbed, you reach over to tap her on the shoulder, but your fingers fall right through her body. Beginning to worry, you swish your hand around her person only to find there’s nothing there. You get up from your seat and begin running around the aisle desperately flailing your arms, looking for something to grasp. To your dread, all the passengers are illusionary holograms. Suddenly the vehicle begins to shift around. From outside people see a seemingly normal bus transform into a seven-story-tall robot monster. Blood pools at its feet as your crushed body hangs lifelessly inside. You probably should’ve taken the 6:30, dude. Sent out to the SC mailing list on January 25, 2014. To receive updates from us, subscribe now. In the past few years, you have been privy to some rather sensitive, earth-shattering private government developments via this mailing protocol. The agency has entrusted this information to a very carefully selected small subsection of the population. Not because small numbers equal less risk and certainly not because this is actually some easily-receivable mailing list from a band that only has like 10 fans. NO! We have chosen your advanced mind to behold these top-secret briefings because you and only you are capable of absorbing matters of this magnitude and responding appropriately and discretely. Let us begin. – Bluestribute Reviews Former Spine! Earlier this month, local music website Bluestribute Entertainment published a rather lengthy and thoughtful reflection on our new album Former Spine. In it, their writer details his reactions to the entire 16-song track list. We appreciate the commitment to completeness they’ve got going on over there. 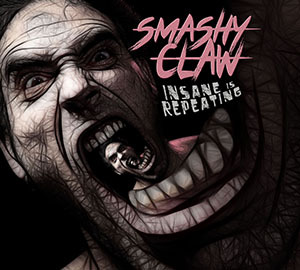 You can read the all-encompassing article at http://bluestribute.net/smashy-claw-former-spine-review. As absolutely all of the world will completely recall with increasing regularity, Austin and Nathan (but way more mostly Austin) have been undertaking a challenge known as February Album Writing Month (FAWM) for the past few years. It’s where during the shortened month of February, songwriters are asked to write 14 new songs. In fact, the majority of the Smashy Claw oeuvre has come from this annual thingy. Check it out (and potentially watch them fail miserably) starting next week at http://www.fawm.org/fawmers/oddaustin! Being middle-aged on the planet Berkabrakk 7 is not going well for you. You realize that you’ve spent your whole life stuck in the same boring town. When does the monotony end, you wonder aloud. You decide to widen your scope of the universe, literally. Spending a small fortunate and many of the remaining years of your mundane existence, you build a super advanced spaceship. You go about this venture with the crazed and unrelenting dedication of a mad scientist, which results in the dilution of all ties to family and friends. Fine! Who needs them, you think. Upon finishing the device in your old age, you take off into the stars, ready to discover some amazing new race of intelligent life. Years later you land on the planet Earth. Fantastical, you exclaim. Over time though, you ascertain the horrifying truth. “Hey! This place is full of assholes!” You then fall over, dead, having wasted your life on building that stupid machine. Sent out to the SC mailing list on December 23, 2013. To receive updates from us, subscribe now. NOTE: The following introduction has been edited to exclude specific holiday names (as well as words associated with them) as to not be offensive to any possible demographic. [Politically correct colloquial holiday] greeting! Merry [holiday that you celebrate], everybody! Welcome to Smashy Claw’s very special [positive characteristic of the aforementioned holiday that you celebrate] email! As usual, we’ll be filling your [oversized foot-adorning garment] with some updates on the band. So sit back, drink some [sugar-based beverage], eat some [snacks in the shape of icons from that holiday you celebrate], sing some [completely secular, wholesome songs while in no way infringing on any existing copyrights], and see what you got this year! Let’s all have a [tree/shrub type], [adjective denoting merriment] [holiday you celebrate again]! New show up at http://feeds.feedburner.com/cleverlyarrangedwords! Show footage (http://tinyurl.com/scttt121913) and audio (http://music.smashyclaw.com/album/live-at-hermans-hideaway-10-17-2013). Just like last year, we’re ending another season of our podcast, Smashy Claw’s Cleverly Arranged Words, with a nifty holiday special! In this month’s episode, listen as the gang miraculously brings a snowman to life, talk about purchasable coin-filled bank vaults, and save Santa Claus from almost certain death! Check it out at http://feeds.feedburner.com/cleverlyarrangedwords. We’ve been playing quite a few local shows recently, and have accumulated some neat documentation of them as a result. We thought we’d share two recordings from some recent concerts around town. First off, a sound-board recording of our November show at Herman’s Hideaway in Denver can be found at http://music.smashyclaw.com/album/live-at-hermans-hideaway-10-17-2013. Secondly, footage of our show from just this past Thursday (12/19) at The Toad Tavern in Littleton is at http://tinyurl.com/scttt121913. The latter was the first show with Chris Clauss, our new guitarist (more on that later). With your company’s annual holiday get-together occurring later in the day, you panic with the realization that you forgot all about being a Secret Santa. To make matters worse, it is your crotchety old manager that you were randomly-selected to buy for, so it’s not like you can skip it altogether. With the party hours away, you desperately search your cobwebbed mind for any scrap of knowledge about the mean geezer that might clue you in on something to get him. You suddenly think of the perfect gift as you rush out of your home and off to a local merchant. At the shindig, you present your present to the old man and wait with anticipation. He opens it to find a venomous cobra, which abruptly bites him to death. What the hell?! Couldn’t you have gotten the dude some cookies or a flask maybe? I know those are clichéd, but it’s not like it ever killed anybody to stick to the classics. However, I can think of one recent time when not sticking to them seemed to do just that. Merry Christmas, jerk. Merry [inflammatorily specific holiday mentioning], people! Sent out to the SC mailing list on November 25, 2013. To receive updates from us, subscribe now. In this month’s transcendent electrified mailing message, we will take you on wings of text, as it were, through the vast grassy meadows of our immaculately woven gold strands of delicious heavenly language to describe once more the imperatively important activities of some band or whatever. – Former Spine, People Seem to Like It! Folks are digging the record! In October, we partnered with YouTube sensation Albino Black Sheep to make an animated video for Former Spine’s lead single, “CHOMPCHOMPCHOMP”. It’s our first official music video release, and we’re very proud with how it turned out. If you like adorable gore, you’ll dig it! Check it out at http://www.youtube.com/watch?v=Y_nw3YuByKA. Since the release of our debut record last month, a few reviews have been released commenting on the album. You can check them out at http://spheremusic.me/2013/11/05/former-spine-by-smashy-claw/ and http://www.colomusicbuzz.com/smashy-claw-former-spine/, respectively. If you have a blog or something of the like and want to review our CD, we would really appreciate any feedback. Alternatively, you can review on iTunes and Amazon as well. After a long night of binge eating and Netflix watching, you venture down to your solemn, lonely bedroom to drift off into another restless dream. As you lie awake in the blackness of your isolated dungeon, you once again consider how vacant and purposeless your life has felt these past few years. As your breath hangs in the cold air, you hug your blankets a little tighter as if to seek some warmth and comfort from something, however inanimate it may be. You desperately plot out how you might improve your dreary situation, continuing the unsuccessful ritual of nights past. Alas though, on this night a realization hits as you abruptly sit up in your mattress. You seem oddly excited about the future for the first time in many hundred hopeless days. The next morning you sell all your earthly possessions, give all but $20 of your life savings to charity, and with the remainder buy a costume from the local flee market. You spend the rest of yours days standing out on the highway dancing for the passing vehicles as Lumpy the Rug-Cutting Bumblebee. Dude… what? Why did you think this was a good idea?